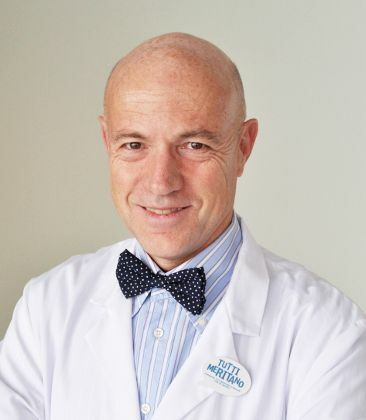 Dr. Alessandro Castagna is Orthopedic Surgery of the Shoulder and Elbow Unit Director in Humanitas Research Hospital. He conducts both traditional surgeries and arthroscopic ones. He developed experience in arthroscopic surgery of the shoulder in the United States at the Southern California Orthopedic Institute in California, under the guidance of Dr. Stephen J Snyder (famous shoulder surgeon, inventor and co-developer of surgical products for shoulder arthroscopy). The experience in open surgery of the shoulder Dr. Castagna has developed under the guidance of Prof. Mario Randelli, founder and past-president of the Italian Society for Surgery of the Shoulder, in Milan (Italy). He has specialized almost exclusively in shoulder surgery for more than 25 years with school cases counting over 40.000. He carries out about 900 operations a year, including total shoulder prostheses, reverse prostheses, open and arthroscopic stabilization, rotator cuff repair and proximal humerus fractures. His research activity is concentrated upon improvement of surgical techniques and treatment of shoulder pathologies, dedicating particular attention to the deepening of biological and functional development of surgical techniques, materials and tools.